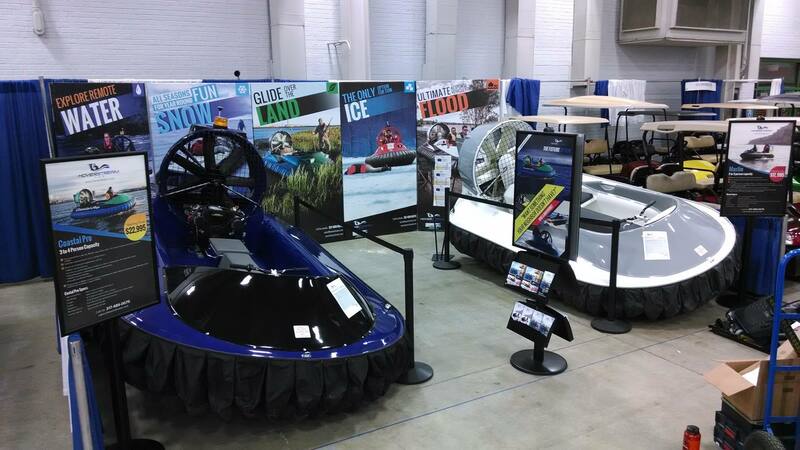 Hoverstream on display at the Indianapolis Boat, Sport, and Travel Show! Come visit the Hoverstream, LLC. booth at the Indianapolis Boat, Sport & Travel Show now through February 23rd! We have some great show specials with steep discounts for orders placed during the show period. How about $2,500 off the Coastal Pro on display?!? This is your last chance to get these deals before the new 2014 pricing takes effect. See you at the Indiana State Fairgrounds!